Please note: The following information was submitted by The Huron Township Police Department and has not been edited by The Huron Hub. Huron Police Chief Everette Robbins noted that breaking and entering and home invasions are down from the last months period, down from 19 reports to 6 reports (down 69 percent). October 1 – Officers responded to the scene of a train vs. pedestrian crash at the CSX crossing at Inkster north of West Rd. Officers arrived on the scene and located a 32 year old Trenton man deceased as a result of the accident. The death was ruled a suicide. October 5 – A 23 year old Woodhaven resident was arrested in the area of Sibley and MIddlebelt for operating under the influence of liquor. October 7th- Officers responded to 29640 Sibley Rd for a 57 year old male not breathing. The deceased had cardiac issues and the death was ruled a natural death. October 7 – Officers responded to the Country Meadows Mobile Home Community for a report of a missing person. A 22 year old Holland woman was reported missing. The investigation continues into this incident. 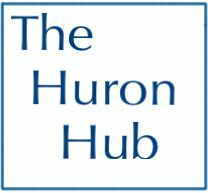 October 8 – A Huron Township Police Officer was involved in a car vs. deer crash on Wil Carleton Road while responding to a Domestic disturbance call. The Officer was hospitalized with minor injuries. October 10 – A resident reported a suicidal subject in the 27000 block of Clairet Dr. Responding Officers were able to locate the suicidal subject on the railroad tracks and transport him to Southshore Hospital for evaluation. October 10 – Officers responded to the 29100 block of Vinewood for a Domestic Assault. A 27 year old Huron Township resident was arrested for Domestic Assault. October 16 – Officers responded to the 21300 block of Springhill for a medical. Upon arrival, a Huron Township resident was found deceased. The initial cause of death is believed to be a drug overdose. October 17 – A resident reported a breaking and entering in the 29000 block of Birch Drive in Country Meadows Mobile Home Community. Entry was made by forcing the rear door of the residence open. A television and video game system was taken. October 17 – Officers responded to the 29000 block of Pine for a Juvenile Runaway complaint. The juvenile was located and returned to the residence. October 18 – A resident reported a breaking and entering to a residence under construction in the 18000 block of Middlebelt Road. Entry was made through an unlocked garage door and tools were taken. October 19 – Officers responded to the 25000 block of Willowbrook Ct. for a death investigation. The death was ruled a natural death. October 27 – Officers responded to the 20100 block of Merriman for a suicide attempt. The suicidal subject was located and taken into protective custody before being transported for treatment. This entry was posted in Front Page News, Police & Fire on October 27, 2014 by Scott Bolthouse.